Scalping and other severe injuries can occur from entanglement in an unguarded or inadequately guarded driveline or shafts driven by power take-offs (PTOs). In fact, statistics from the federal government estimate 40 fatalities and 150 amputations and countless other serious injuries such as broken bones, scalpings, etc. occur each year due to entanglement. PTOs rotate between 540 rpm and 1,000 rpm. At 540 rpm or 9 times per second, the PTO shaft can pull an arm, leg, foot or hair and wrap it around the shaft several times in less than one second. Once you are snared, evasive action is just not possible. Do a safety check on yourself: secure loose hair, avoid wearing loose-fitting clothes or any type of jewelry while operating the tractor or other machinery where entanglement is possible. Take special care to warn children about the hazards of PTO entanglement. Caution anyone who approaches the machinery about the dangers of the driveline and PTO. Never step over a rotating PTO shaft. 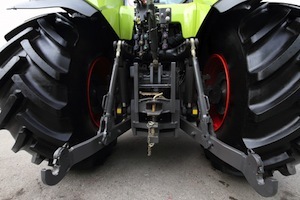 With respect to guarding, all farm equipment equipped with U-shaped tunnel guards should be retrofitted with appropriate guarding. Guarding should be regularly inspected and in compliance with OSHA regulations. If you or a loved one has been injured in a driveline or PTO entanglement, you may be able to recover compensatory damages and, if appropriate, punitive damages for your injuries. To discuss your case with one of our award-winning lawyers, contact us online or call us anytime at 615-742-4880 or toll-free at 866.812.8787. We handle all PTO entanglement cases on a contingency basis which means we only get paid if we recover money for you.